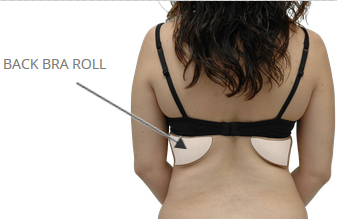 Some women complain of an unsightly roll of back fat just below the horizontal part of their bra. These two bulges of fat are most obvious in tight clothing or swimsuits. They can be seen as prominent bulges that are relatively difficult to hide (sometimes forming a single long horizontal roll). These bulging areas impart somewhat of an “overweight” or “out of shape” appearance to a woman’s back. 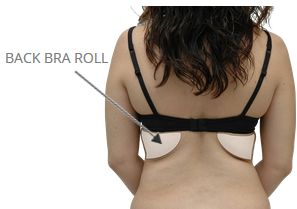 HOW DO I KNOW IF I AM A GOOD CANDIDATE FOR BACK BRA ROLL LIPO? If you are bothered by bulges of fat on your back (that occur just below the horizontal part of your bra) then you may be a good candidate for back bra roll liposculpture.